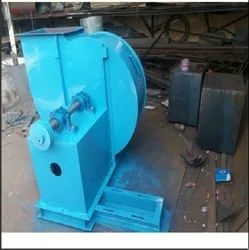 Prominent & Leading Manufacturer from Faridabad, we offer cyclone type dust collectors, wet scrubber ss 316 l, portable dust collector, pulse jet bag filter, wet scrubbers and centrifugal air blower. 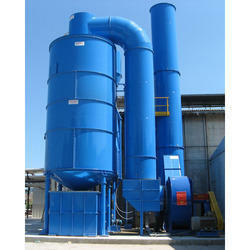 We are engaged in manufacturing a wide range of Cyclone Type Dust Collectors. These multi cyclone dust collector/ industrial dust collector that we offer are ideal for removing particulate from in-plant air efficiently and in a cost effective manner. Our range is also available in customized range and are packaged as per the client requirements. Our company has carved a niche as a trusted manufacturer of Wet Scrubber SS 316 L. We use high grade raw materials to manufacture the scrubbers, which are extensively used for removing pollutants from gas and gas steams. Our provided array is an air pollution control device designed to eliminate and collect gaseous contaminants. The Wet Scrubber guarantee high performance and are demanded by the customers for long service life, functional efficiency and accuracy of results. The product is offered at highly competitive prices. 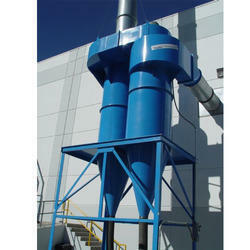 We are offering a wide range of Portable Dust Collector. Offered systems are ideal for usage in myriad pollution control equipment. 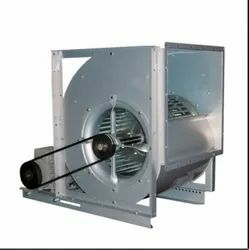 These systems do not allow dust particle to enter the air stream. Features: High collection efficiencies even for very small particles Can operate on a wide variety of dust concentration Reasonable pressure drops. Our sophisticated infrastructure enables us to manufacture a quality range of Pulse Jet Bag Filter. 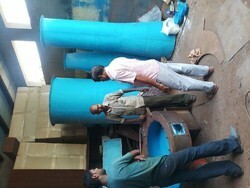 Used as air pollution control equipments, these filters can filter heavy dust burdens from air. Our diligent personnel team manufactures these filters using optimum quality of raw materials, obtained from the trusted vendors. The quality analysts check the Pulse Jet Bag Filter on efficiency and performance parameters before offering to clients at reasonable prices. Owing to the support of our adroit professionals, we have been able to provide our clients a high quality assortment of Wet Scrubbers. 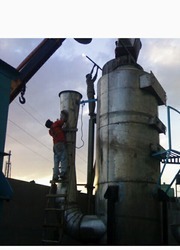 The offered scrubbers are manufactured using high grade components and latest technology to meet the set industry norms. These scrubbers are used to collect both, particulate matter and gaseous pollutants. Also, these scrubbers help in removing pollutants from a furnace flue gas that is later cooled. 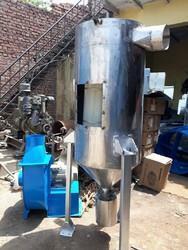 We offer these Wet Scrubbers in various specifications and can also be customized as per the needs of clients. 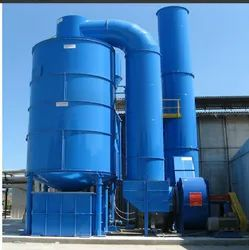 We are engaged in manufacturing a wide range of Cyclone Type Dust Collectors. These cyclone dust collector/ industrial dust collector that we offer are ideal for removing particulate from in-plant air efficiently and in a cost effective manner. Our range is also available in customized range and are packaged as per the client requirements.